Do you remember watching those wild west cowboy movies and watching those tumbleweeds aka Russian Thistle? Not everything is a cactus in Arizona. They aren’t native to Arizona and probably were brought in from Asia with the pioneers. The picture above is that tumbleweed but in its green and growing stage. When they die, they turn brown and wither but there is a secret you may not know about. That tumble thing they do, its really about spreading their seeds about 100,000 per plant. The old dead tumbleweed blows around with the help of the wind, spreading their kind to the four corners of Arizona – OK every corner of Arizona not just Four Corners (if you understand this reference post a comment) lets see how quick you folks are? On a serious note after the weeds life comes to an end, it becomes extremely brittle and become a target for any brush fires. Do you plant right next to your home? Weeds got you down, they are plentiful here in Arizona right now. The plant above is London Rocket – flowering takes place from January to May. Flowers are pale yellow, rarely white, narrowed at the base, and roughly 1/10 to 1/6 inch (3–4 mm) long. Small clusters of flowers grow at the stem tip. London rocket reproduces by seed and we recommend a pre-emergent to prevent the seeds from growing. This plant weed is a winter annual broadleaf plant and if you remember a favorite of False Chinch bugs. 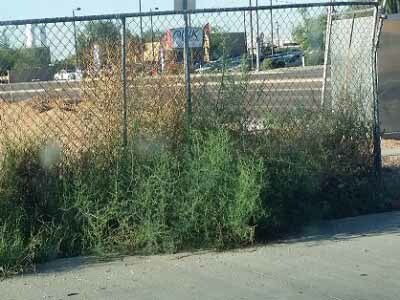 I’ll bet you didn’t know this is also called Tumbleweed, the stuff we occasionally see blowing by your car when its windy. Did you know that the reason it tumbles is to disperse its seeds? It also probably came to the U.S. in flax seed imported by Ukrainian farmers. Its almost iconic of the Southwest and often seen in movies blowing across the desert scenes like the beginning of the “Wizard of Oz”, if I remember correctly. So if you are able to destroy it before it seeds, the better your landscape or that of your neighbors will be. Lyme disease is caused by the bacterium Borrelia burgdorferi and is transmitted to humans through the bite of infected blacklegged ticks. Typical symptoms include fever, headache, fatigue, and a characteristic skin rash called erythema migrans. If left untreated, infection can spread to joints, the heart, and the nervous system. Lyme disease is diagnosed based on symptoms, physical findings (e.g., rash), and the possibility of exposure to infected ticks; laboratory testing is helpful if used correctly and performed with validated methods. Most cases of Lyme disease can be treated successfully with a few weeks of antibiotics. Steps to prevent Lyme disease include using insect repellent, removing ticks promptly, applying pesticides, and reducing tick habitat. The ticks that transmit Lyme disease can occasionally transmit other tickborne diseases as well. Check out the CDC site for more information. 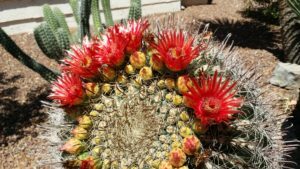 Now I want to share something I thought was interesting – I tried to join a certain Arizona Lyme Disease yahoo forum and was denied. They claim that I tried to join before and I don’t recall but I thought they might be interested in possibly preventing the disease with these new tick boxes. So there you go! Do you have any Pest Control Tips? I’m sure each one of my readers have heard from their Grandparents or friends one tip that will help in getting rid of pests. So lets challenge everyone to contribute one or two great little tips. For example there is one going around the web, which states that if you put some type of leaf into your bedroom – Bed Bugs will get caught in the bean leaf tiny hooks on the leaves. But who wants bean leaves all around the house? So lets have a little fun here and tell me your stories, maybe the best one (my choice) will get featured on an upcoming home seal story. OOPS, somebody should be watching where they are walking! To late now but somebody applied a grass killer at a previous job and then walked on grass at another home, wasn’t us but you have to be careful!